A Falcon 9 rocket built and operated by SpaceX will launch the Air Force’s fourth new-generation GPS 3-series navigation satellite in late 2019. 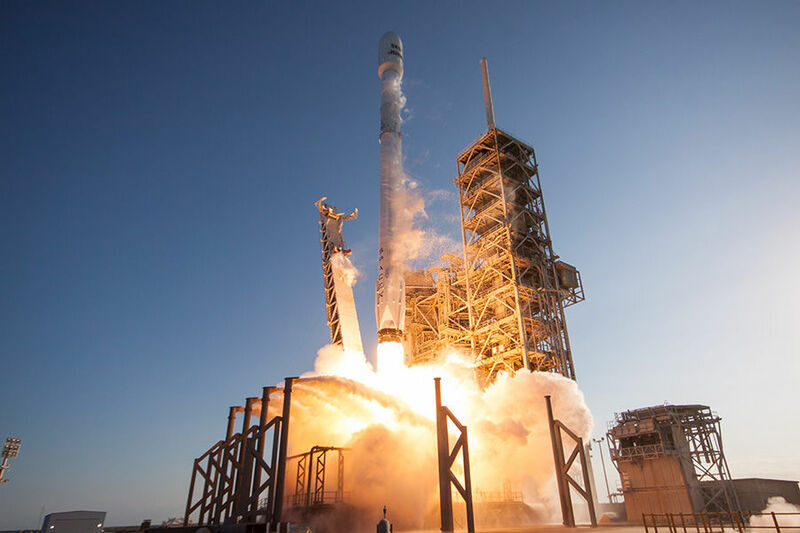 The Air Force and SpaceX also secured options for two additional GPS satellite launches in 2020 and 2021, raising the total potential value of the contract to nearly $290.6 million. Two United Launch Alliance Atlas 5 rockets will loft the Air Force’s AFSPC-12 and AFSPC-8 missions, both destined for deployment in circular geosynchronous orbits more than 22,000 miles (36,000 kilometers) above the equator. The AFSPC-8 and AFSPC-12 missions are scheduled for launch in 2020. 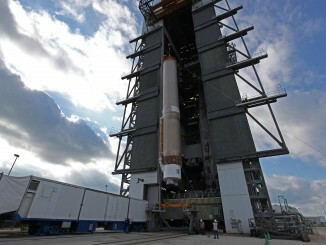 The contracts for the two Atlas 5 launches are valued at $354.8 million. A ULA spokesperson said the company is not currently releasing which Atlas 5 configurations — the size of the payload fairing and number of solid rocket boosters — will launch the two missions. All of the Falcon 9 and Atlas 5 missions awarded last week will blast off from launch pads at Cape Canaveral Air Force Station or the NASA’s Kennedy Space Center. “Both contracts provide the Government with a total launch solution for these missions, which includes launch vehicle production, mission integration, launch operations, and spaceflight certification,” the Air Force said in a statement. The military awarded contracts for the five launches after a competition between the two launch providers, which operate the Falcon 9, Atlas 5 and Delta 4 rockets, the only boosters currently certified to haul the Defense Department’s largest and most critical payloads to space. ULA is retiring the single-stick, intermediate-lift version of the Delta 4 in 2019 and keeping the triple-core Delta 4-Heavy rocket active through the early 2020s to haul the military’s most massive satellites into orbit. The Air Force’s Space and Missile Systems Center released a request for proposals for the five missions last July. In earlier competition rounds, SpaceX won two GPS launch contracts, and the Air Force awarded ULA a deal to launch a satellite aboard an Atlas 5 rocket directly into geosynchronous orbit to detect nuclear blasts and test a NASA-sponsored laser communications package. The Air Force changed its launcher procurement strategy after the Falcon 9 rocket became certified for national security missions in 2015. 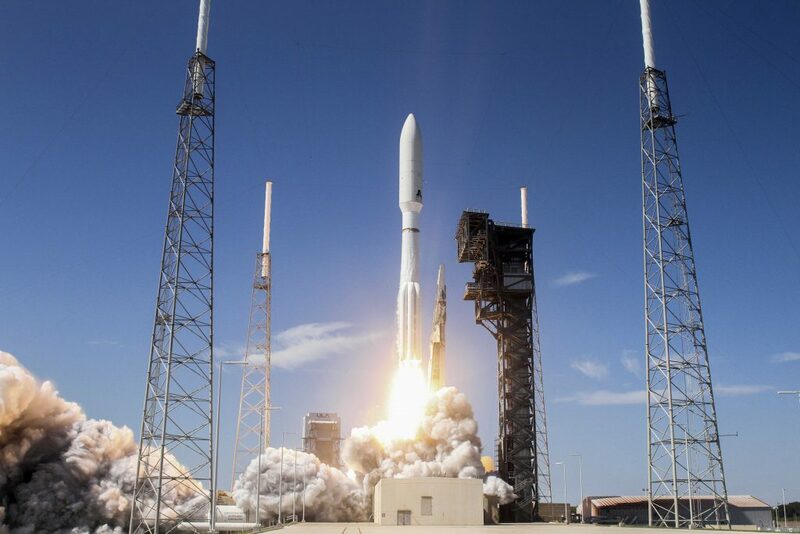 Military launches were previously awarded to ULA through a sole-source contracting process. 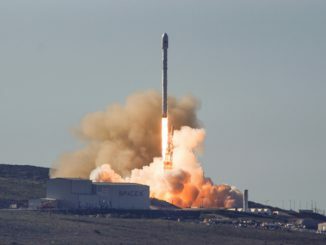 With the latest contract awards, SpaceX Falcon 9 rockets are slated to launch five of the Air Force’s first six new GPS 3-series navigation satellites, beginning as soon as September with the launch of the GPS 3-1 spacecraft. The second GPS 3 satellite is set for launch on a Falcon 9 booster no earlier than March 2019, followed by the launch of the GPS 3-3 satellite later next year on a ULA Delta 4 rocket. The GPS satellites will be deployed from their launchers in elliptical transfer orbits ranging between a few hundred miles above Earth to a maximum altitude of nearly 12,550 miles (20,200 kilometers). The first batch of 10 GPS 3-series craft, built by Lockheed Martin, will use on-board propellant to maneuver into their 12,550-mile-high circular orbits. The AFSPC-8 and AFSPC-12 missions will launch directly into their orbital perches nearly 22,300 miles above the equator. Launching directly into geosynchronous orbit typically requires at least three upper stage burns, including a final insertion maneuver at high altitude around six hours after liftoff. The Centaur upper stage that flies on ULA’s Atlas 5 rocket has conducted long-duration direct insertion missions into geosynchronous orbit numerous times. 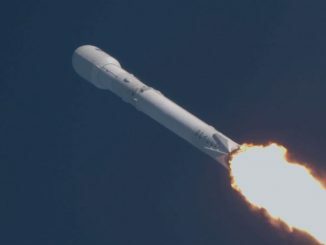 SpaceX first demonstrated a long-duration coast and restart capability with its upper stage during the Falcon Heavy rocket’s test flight in February. The AFSPC-12 mission, set for launch in January 2020, will launch two spacecraft. One of the payloads is the Wide Field of View (WFOV) Testbed, which hosts an experimental infrared sensor tailored to detect tactical missile launches. The Atlas 5 will also launch a propulsive secondary payload with multiple unspecified experiments, according to the Air Force. The AFSPC-12 mission’s satellite passengers are expected to have a combined weight of more than 6,300 pounds (nearly 2,900 kilograms) at launch. The AFSPC-8 mission will launch the next pair of satellites for the Air Force’s Geosynchronous Space Situational Awareness Program. Designed to help the Air Force track and observe objects in geosynchronous orbit, the GSSAP 5 and 6 satellites will join four others launched on two Delta 4 rockets in 2014 and 2016.